""Hail Stan" is not only Periphery's best album to date but also the most exciting production in a long time." Periphery does not earn enough money to make a decent living from it. This is what its founder Misha Mansoor said. Album sales and tours cover the band's expenses, but members really earn their living with activities outside the band. Under these conditions and insofar as the passion for music prevails over any other material consideration, it is better to be totally free. After all, when, at the beginning, Mansoor was tinkering with his guitar recordings on his computer, it was to broadcast them for free on the Internet. He was then far from imagining that he would become one of the spearheads of the djent. Fifteen years later, Periphery has kept this geeky all-rounder spirit and Do It Yourself who in 2010 had break codes of prog metal with his first album. It is therefore quite naturally to assume its freedom of creation that the group created its own label 3DOT Recordings, intended to produce the albums of the combo and the related projects of its members. After warming up with the production of "The Vacancy" by Four Seconds Ago, an electro project by Misha Mansoor and guitarist Jake Bowen, the label is really getting down to business with the release of the Americans' fifth album, "Periphery IV: Hail Stan". Stimulated by this hard-won artistic freedom, Periphery was able to take his time to refine this new opus for more than a year. The game was clearly worth it. The band's independence has been an additional factor of cohesion between its members and has boosted its inspiration. "Hail Stan" is the most adventurous, personal and exciting album of the combo. 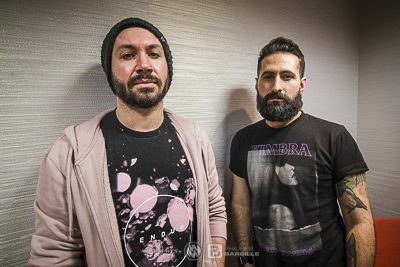 The group strikes hard from the first track "Reptile", a sixteen-minute piece that sums up Periphery's intention to set no barriers and do exactly what he wants. A clever mix of murderous riffs, asymmetrical rhythms, technical metalcore and atmospheric breaks, this remarkable piece is the most progressive and complex that the Americans have ever composed. With its screamed verses, its luminous choruses, its numerous guitar tracks and its aerial keyboards, "Reptile" is the synthesis of Periphery's powerful and eclectic djent. Blowing constantly hot and cold, "Hail Stan" happily alternates between savagery and delicacy. While the magnificent "It's Only Smiles", very close to the compositions of Disperse and "Satellites", a real jewel of atmospheric djent, bewitch with their addictive melodies, "Blood Eagle" and "Chvrch Bvrner" are implacable metalcore uppercuts thrown at the face of modern metal prog and dominated by the perfect technical mastery of the musicians and Spencer Sotelo's raging, incendiary and frantic singing. If Periphery never makes a clean slate of his past, incorporating here and there symphonic passages and electro touches already present on the previous album "Select Difficulty" ('Crush'), he has once again no equal to make his music evolve towards ever more density, depth and melodic subtlety. The superb atmospheric thrash of 'Sentient Glow', originally the instrumental title of Haunted Shores (studio project by Misha Mansoor and Mark Holcomb), is a superb revisit of the band's journey to find the right balance between power and emotion. Less affordable and more demanding than its predecessors, "Hail Stan" is an essential album for all lovers of modern progressive metal. If freedom has a price for Periphery, it is the price of excellence. The band shows a truly perceptible cohesion on each track and a freshness of inspiration that commands respect. "Hail Stan" is undoubtedly his best album to date and the most exciting production in a long time. A major figure in the djent scene, Periphery returns with "Periphery IV: Hail Stan", his most aggressive and progressive album. Meeting with Jake Bowen and Spencer Sotelo, guitarist and singer of the band, to discuss the release of this album.